All sections came together to celebrate an amazing year of Scouting at the Woodcutts Annual Carol Service. This year's service was particular special as it was the last one that will be led by Reverend Mel. As a mark of appreciation, Skip John presented a special 'Thanks Badge' to Mel, this being the highest award that can be given to members of the public from the Scout Association. Mel was also made him an honouree member of the group, with the presentation of a group scarf and badge.All the members of Woodcutts would like to thank both Mel and Margaret for their support of the group for many years. 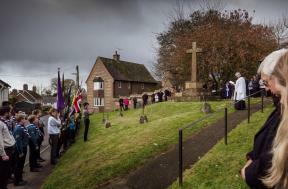 On Sunday 12th November, 1st Woodcutts paraded up the High Street, led by members past and present of the Armed Forces. There were a total of 101 Beavers, Cubs, Scouts, Explorers, Leaders and members of the Active Support Unit on parade, making this the largest turn out in the group's 60 year history. 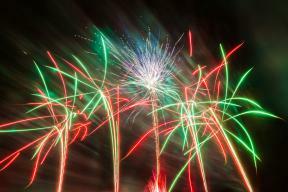 A massive thank you to all the people who made this year’s Firework Spectacular the most successful yet. A special thank you to Chris, Bronia and all the team in the shop and John, Neil and Andrew at Clark the Butchers for selling the tickets in advance. This means we raise funds before the evening and makes sure discounted tickets are available for members of the local community. Of course the evening can only happen with the kind support of Steve and Lee at Church Farm Campsite, who have allowed the use of their field for last 15 years. Then there are over 60 volunteers on the night; running the car park, working the gate, cooking burgers and pulling the pints. 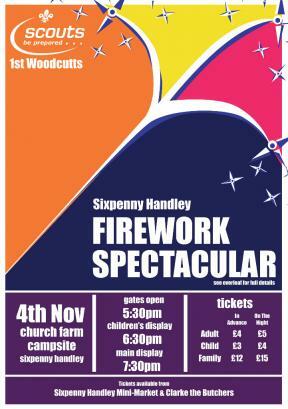 This year the annual Sixpenny Handley Firework display will celebrate 15 years of entertaining the crowds and raising funds for Woodcutts and other good causes. 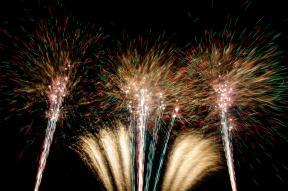 The first display was in 2003, with just £350 of fireworks and a handful of volunteers from the Scout group. With Badger setting off the rockets at the back and Skip Skip (Rob Easton) lighting the fireworks at the front, it is fair to say they were very much learning as they went. The display has now grown into one with well over £5000 of fireworks and a team of 8 setting them off, plus a quieter display for younger children earlier in the evening. 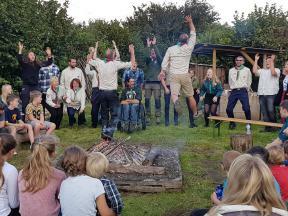 On Saturday 8th, 1st Woodcutts Scouts marked the 60th anniversary of the founding of the group with a special day of celebrations. The event began with a parade through the village of Sixpenny Handley, followed by a well-attended church service at St. Mary's Church where John Curtis, who founded the group as a 13 year old boy and is still regularly involved, spoke very movingly about how proud he is of the group's growth and achievements, and how it still plays such a central role in the local community. This summer we visited Cornwall staying at Tomperrow Campsite. Kayaking, stand up paddle boarding, dragon boating, shelter building, fire making, whittling, tree climbing, slack lining, back woods cooking, air rifle, archery, ancient spear throwing, climbing, geocaching and pot holing! 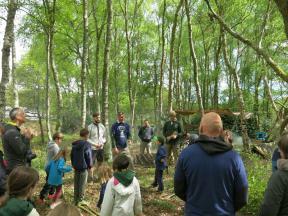 During the first May Bank Holiday 170 members of Woodcutts Scout Group had a fantastic three days of fun, friendship and adventure at Buddens Scout Centre, near Wareham. 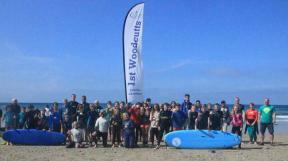 This was our 5th Family Camp and was simply the best one yet! 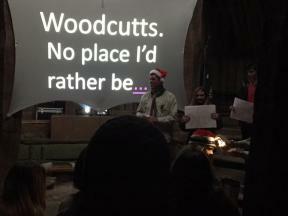 This year the members of Woodcutts held the annual carol service at the Ancient technology Centre in Cranborne. This was a truly unique setting for a truly unique celebration. The service was lead by Vicar Mel, with each section taking an active part in the afternoon. On a bright November morning 88 members of 1st Woodcutts Scouts met at the Town Farm workshop and then paraded up the High Street, following ex- serviceman, to the War Memorial. The Scouts laid a wreath they had made themselves to remember the fallen and the Beavers created a wish chain earlier in the week when they visited the Church with Vicar Mel. 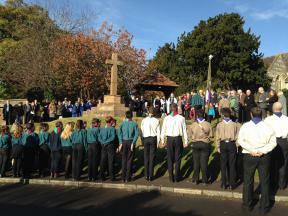 With so many members on parade it showed just how strong Scouting is in Sixpenny Handley and that the young people wanted to remember those who had lost their lives in the past in order for us to have the freedom we enjoy now. Thank you to all those that made this year's display so spectacular. It is only with the support of many people and organisations in the village that we can make the evening happen.